Never Enough Nails: NerdLacquer Returns to Never Enough Nails! I have a fun post for you today with a brand that really helped kick off the indie polish world a few years ago. 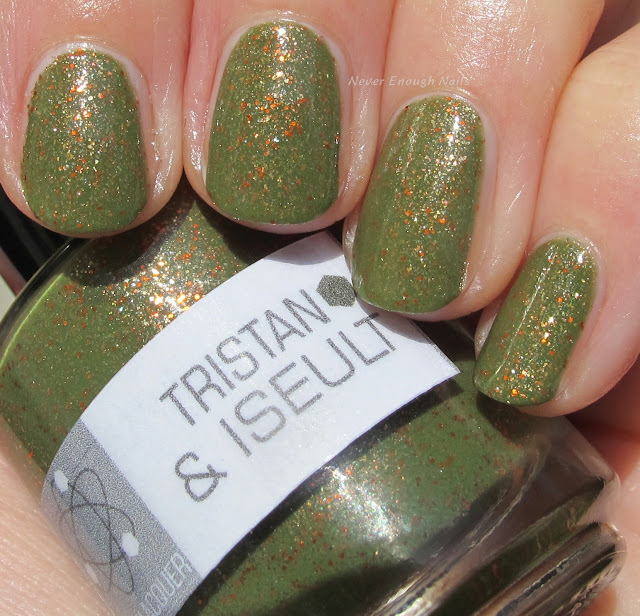 If you weren't involved in the polish world back then, let me tell you- NerdLacquer was crazy in demand! I loved all of the NerdLacquers I got back then and was sad when the brand ceased to exist for a bit. However, over the summer, I discovered that NerdLacquer is back in action and better than ever!! There are TONS of great new shades, but you can also have some of the old shades remade. I purchased two new shades and had two old ones remade to satisfy years old lemmings of mine! First up is NerdLacquer Kylo. I really just purchased this for the name, since I have a secret crush on Kylo Ren. Kylo is described as a "glowy and menacing wicked blood red with flame and violet (violent?) shimmer and black microglitter". I love this violet-tinged red and the violet shimmer is more apparent in person. The red glitter lurking under the deeper red jelly base really pops out. I love this much more than I thought I would, and though I only got it for the name, I can't wait to wear it! This is two easy coats. It was easy to apply and has a nice gel-like consistency, not runny or thin at all. It was smooth to the touch with one layer of top coat. I wanted NerdLacquer Acid of 1000 Fangs SO badly a few years back. I think one went on eBay for like $75 and I was actually considering it for a minute. 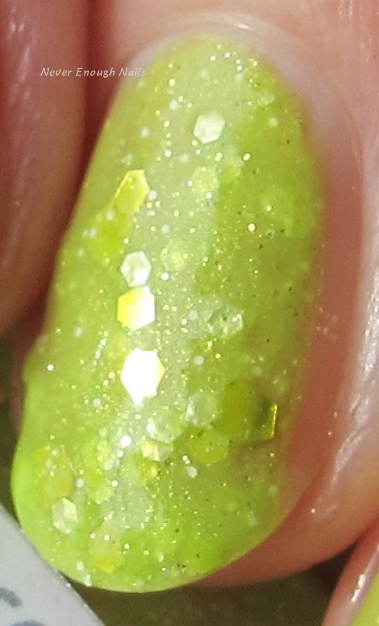 Acid of 1000 Fangs has a chartreuse acid green crelly base with matching chartreuse hex glitters, lighter yellow-green glitters and teeny silver sparkles. It is a really unique polish and not for the faint-hearted or glitter-fearing among us. 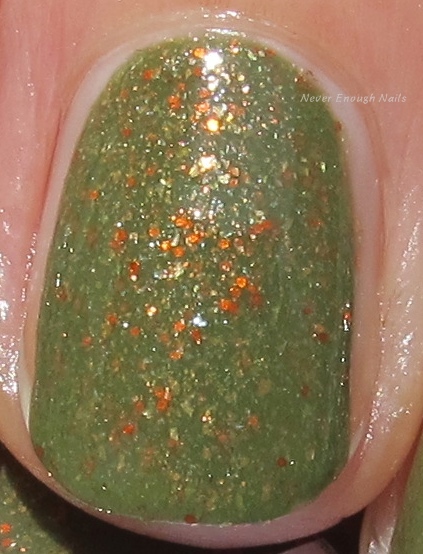 I love a good weird green polish and I also love glitter, so this is everything I had hoped it would be! This is two coats of Acid of 1000 Fangs. I used two layers of top coat and this mostly felt smooth, I just had one or two glitters that stuck up a bit on the sides. I probably could have pushed them over to the center of my nails more, but I really didn't notice them at the time. The formula was a little thicker, but I didn't really have trouble with it. 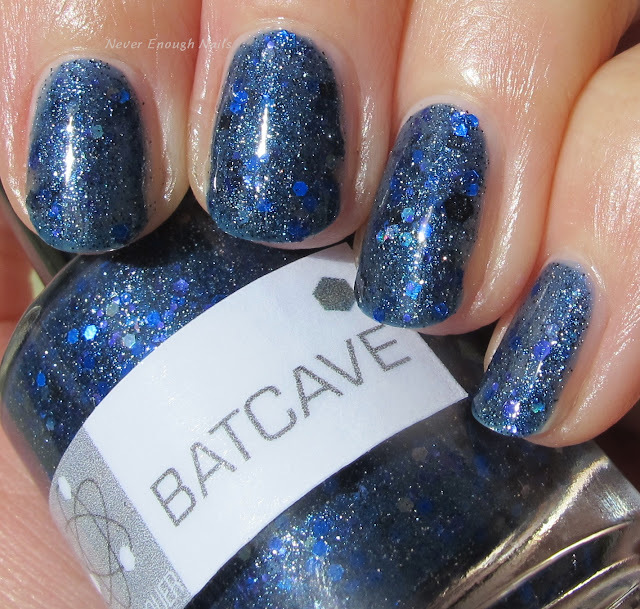 Another older NerdLacqer that I coveted for ages, NerdLacquer Batcave was originally released as part of a trio that was exclusive to Harlow & Co. I could not nab this for the life of me and I was so sad about it. Happily, I was able to get it remade now and I am thrilled with the result. I think this version is even better than the original. The original seems to have had a darker gray base, whereas this is more of a blue-gray jelly base. 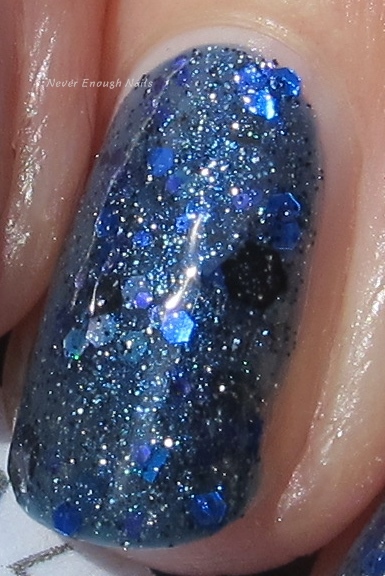 Both versions have plentiful metallic blue glitter and black glitter accents, as well as teeny silver sparkles. 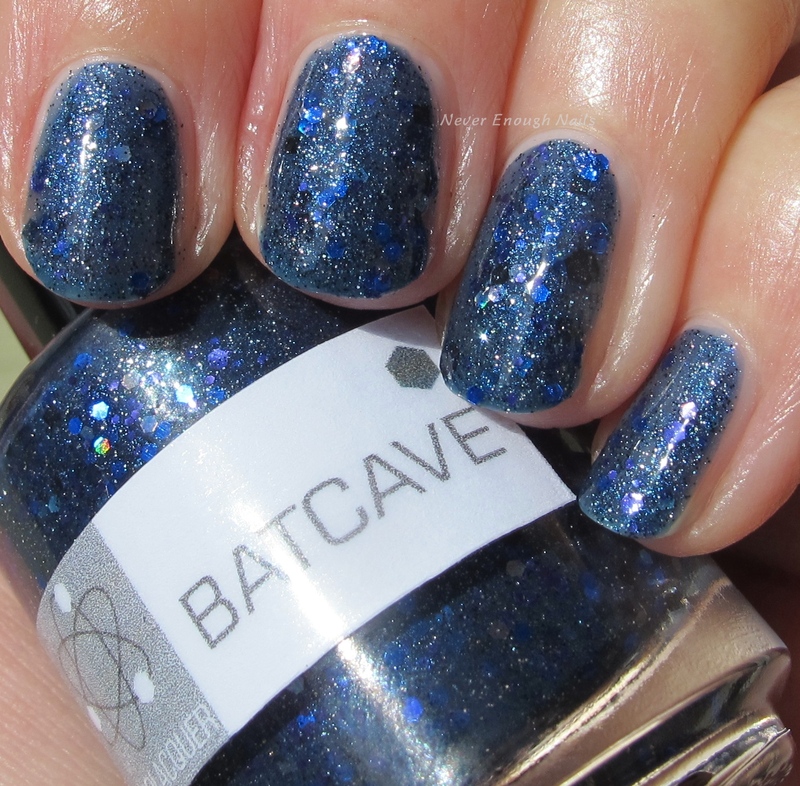 This is two coats of Batcave and I found it to be pretty easy to apply. It is packed with glitter, so you may need to push some pieces around. I used two layers of top coat and it is smooth and shiny. My second new shade that I purchased is NerdLacquer Tristan & Iseult. 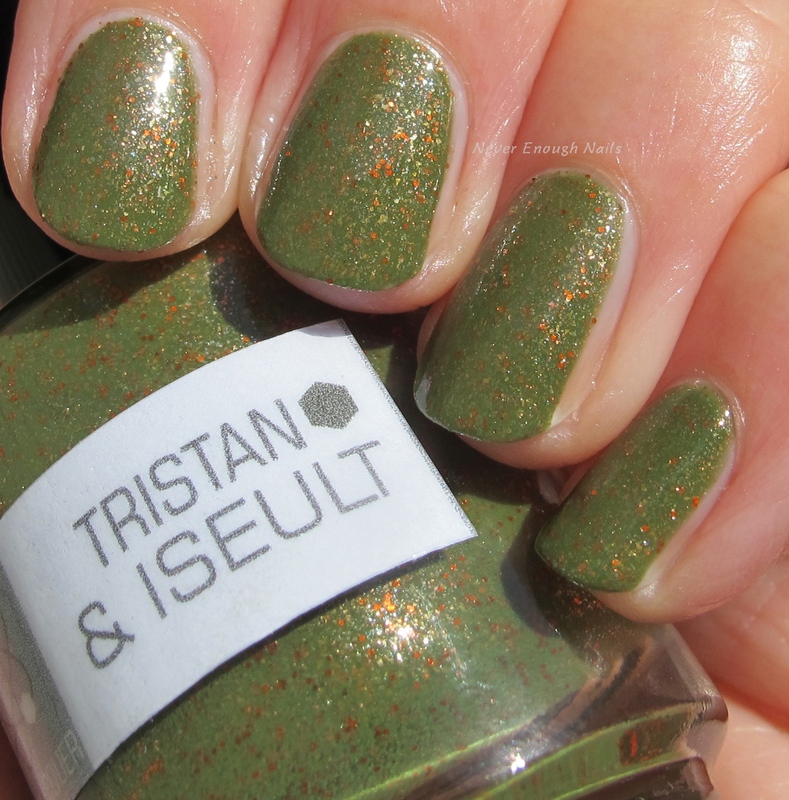 Tristan & Iseult is a dirty olive green with copper and orange sparkles, bronze flakes, and a shimmer that looks like it could be slightly gold toned, but it's not too warm. The shimmer just adds a nice glow to the polish. This is a really complex and unique polish and unique polishes are what drew me to NerdLacquer years ago. I am so happy to see that tradition continue! This is two very easy coats. It has a great formula and was perfectly smooth to the touch with one layer of top coat. and this cute light up squishy ring! I placed my order on July 22 at night and received it on July 27, an excellent turn around time. Everything was packed extremely well and I will definitely order again. I am very happy that NerdLacquer is back and can't wait to see what else she will cook up! 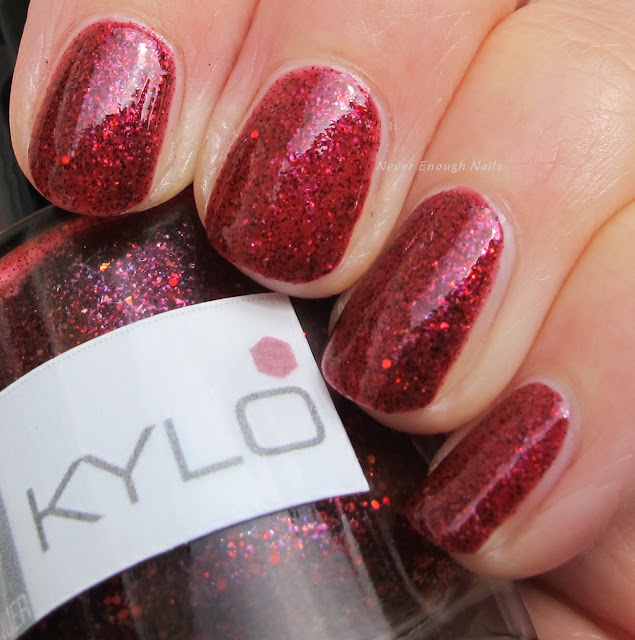 You can purchase Kylo and Tristan & Iseult on http://www.nerdlacquer.com. If you are interested in purchased Acid of 1000 Fangs or Batcave, you can email info@nerdlacquer.com.